DWG files can be tricky beasts to present to clients. Sure, they're perfect for working with in AutoCAD or DraftSight, but you're more than likely going to be looking for a DWG to TIFF converter to prepare files for client sign-off. And if you need to export to TIFF on a regular basis, a command line DWG converter can be an absolute lifesaver. Look no further for an affordable solution, the TotalCADConverter has you covered for conversion! Put the drudgery of going into AutoCad and wearily stepping through the "Save DWG as TIFF" options behind you with this powerfully configurable command line solution. It's a fully-featured DWG to TIFF converter that you can easily run from the command line (or via a handy GUI interface). 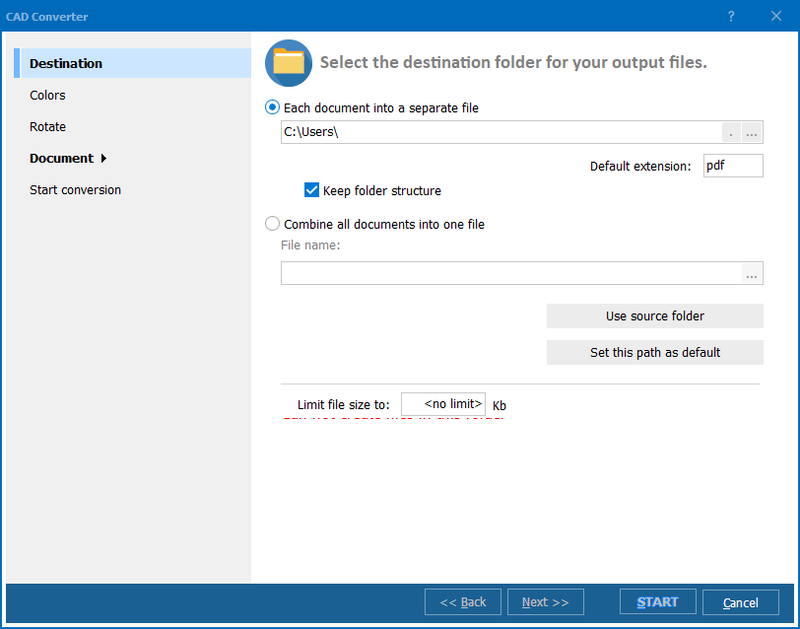 It also handles a complete range of other standard CAD formats with ease and is perfect for batch-processing. Try out a free trial today or read on for more details about its features. There's no need to re-edit your source files when it comes to converting DWG to TIFF. 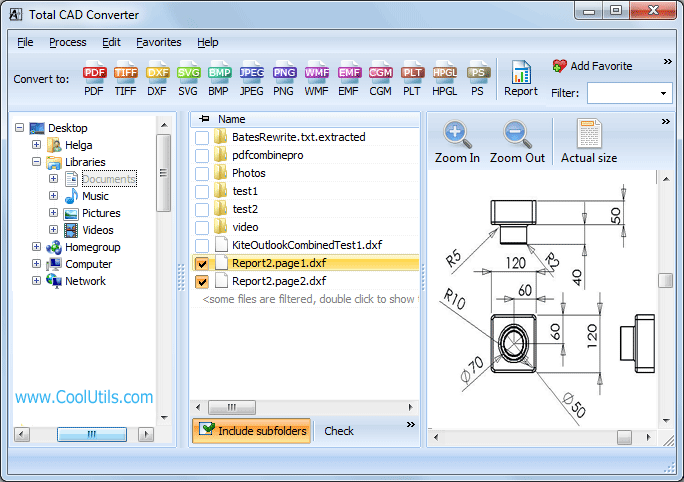 You're free to resize, crop, rotate and perform other editing tasks right from within the TotalCADConverter interface. With the full range of dedicated TIFF output options, you won't be leaving anything to chance. 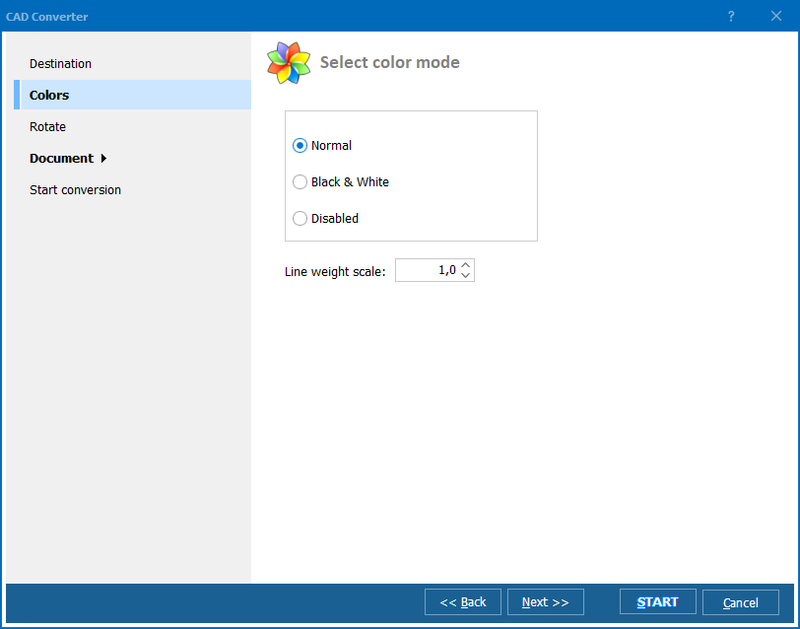 Stay in charge of how your TIFFs are generated by setting photometric interpretation tags, adding watermarks and fine-tuning compression levels. Feeling a little rusty in the terminal window? Fear not. You'll be able to convert DWG to TIFF via command line with ease by taking advantage of a handy visual wizard to create customized Command Files (BAT) with just a few mouse clicks. Power users are of course free to access a full range of option flags directly from the command line. You're not just limited to your local machine. The TotalCADConverterX version of the app can be installed on a server and called remotely. It can even be directly integrated into client apps with just a small sprinking of ActiveX magic. At a price of just $100, you're not going to find a more powerful or fully featured DWG to TIFF converter anywhere else online. None of our competitors come close! Try it out free for 30 days with our fully functional trial and start taking advantage of the full power of a command line DWG to TIFF converter today!